Right on the heels of the Lohan family’s brush with foreclosure, a former KISS rocker is the latest celebrity in mortgage trouble.Ace Frehley (nee Paul), who played guitar for KISS throughout the 70s and rejoined the band on tour in the late 90s, is on the hook for $735,000 worth of missed mortgage payments on his Yorktown, N.Y. home, the The Journal News reports. The news surfaced after his lender filed a foreclosure claim on Feb. 15. And the mortgage issue is just the beginning. 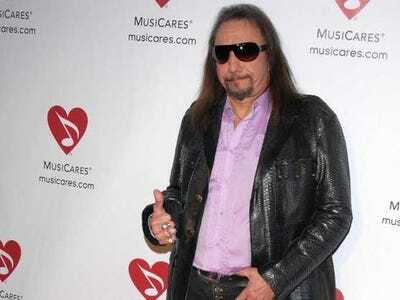 If Frehley can’t come up with the cash, chances are the bank (or the county) will wind up selling the home at auction. And from what little information we have on his case, we’re willing to bet that’s exactly what Frehley wants. Frehley reportedly stopped paying on the home two years ago, just a few years after he took over the title on the 3-acre, 2,441 sq. ft. pad back in 2006. Many underwater homeowners –– those who owe more on their homes than they are actually worth –– choose to cut their losses, stop making mortgage payments and simply wait for their mortgage lender to foreclose. In the meantime, they can start putting their resources into a smaller home or apartment they can afford. The foreclosure process can take anywhere from under a year to more than two years to complete, so it makes sense we’re only hearing of Frehley’s foreclosure notice now.